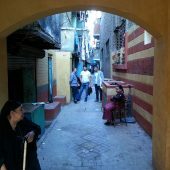 From about five intersections within the dense urban fabric of Ezbet Abu Qarn in Cairo, a narrow street in the heart of the area was chosen to be redesigned as a public space. 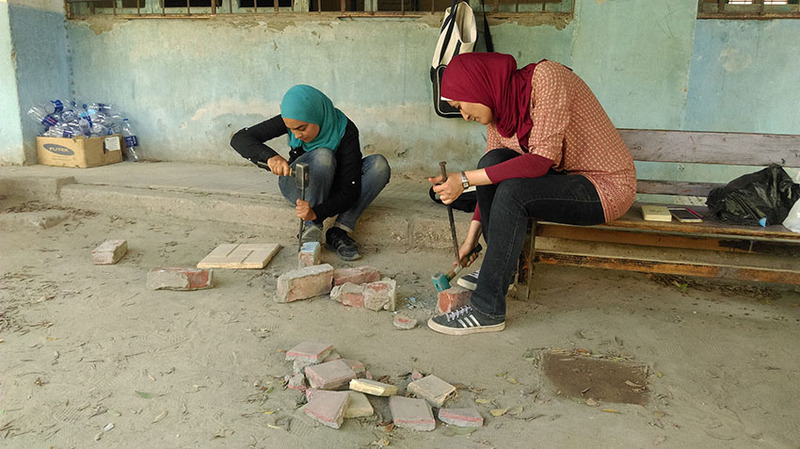 The project’s aim was to create public space awareness among the inhabitants, alter the urban experience to match that of old Islamic Cairo, and introduce new ideas to the locals through using recycled materials. This project was about the collaboration of the community with the academia. Integrated teams from both sides of the stakeholders developed and implemented designs that fulfilled the needs of the users of the selected zone. 1- Modifying an arched gateway to the enclosed parts of Ezbet. 2- Renewing the wall design and introducing different finishing materials. 3- Installing a floor pattern with recycled tiles. 4- Inserting built-in seats with recycled bricks. 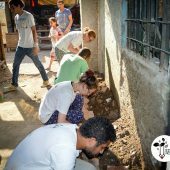 5- Renovating the old chickens’ nest with clay bottles instead of typical bricks. 6- Adding flower boxes to signify the importance of greenery in public spaces. 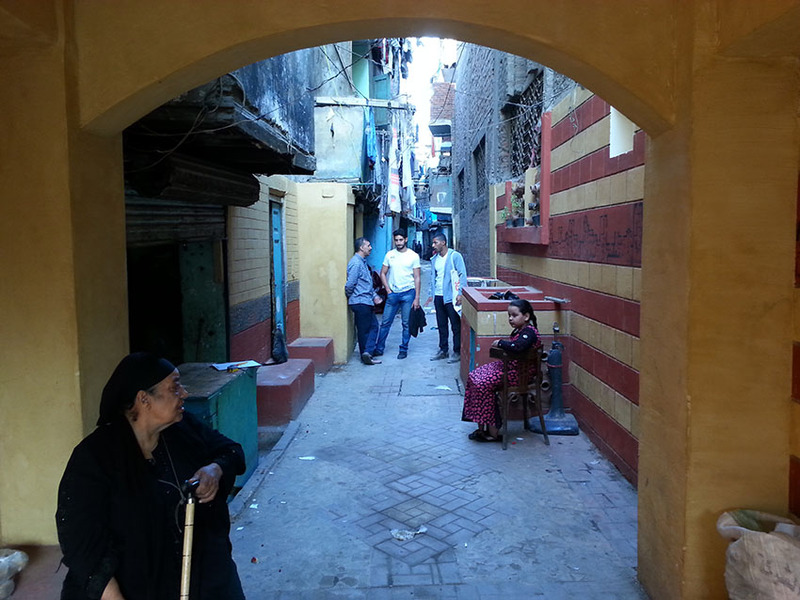 Research Question: Ezbet Abu Qarn is one of the informal areas in the heart of old Cairo. It is located behind Amr Ibn-Al-As Mosque, the oldest mosque in Africa. 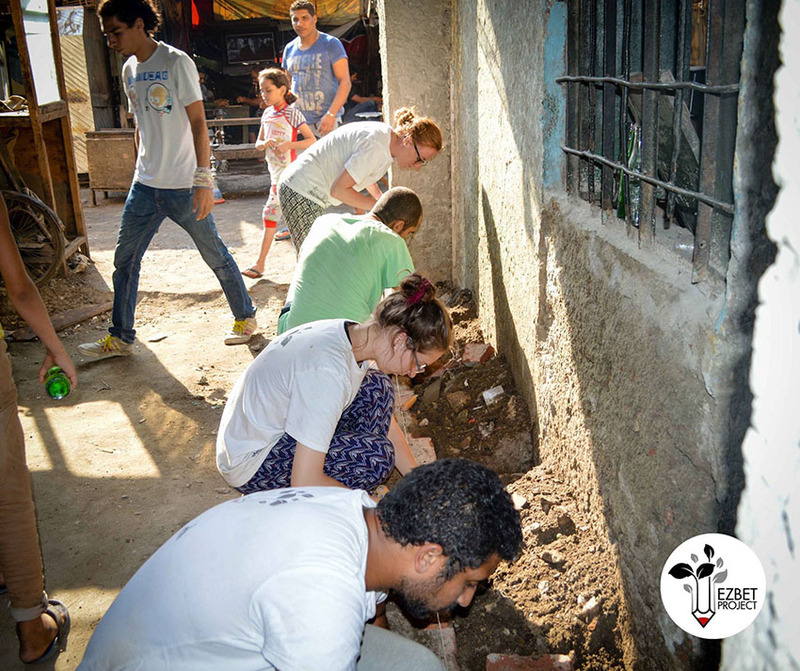 Like so many informal areas around the world, this neighbourhood has to deal with profound problems: such as poverty, lack of infrastructure, unpaved streets, and very poor and unhygienic conditions. Through successive observations, it was pointed out that their daily lifestyle, especially within the core of the residential area, is characterized by women sitting together with their children during the day in front of their houses communicating with other families and neighbors. This is an example of how such communities utilize their urban spaces. 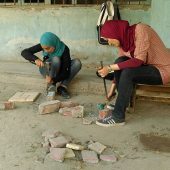 Architecture, Permanent, Ain Shams Univ, Undergraduate, Months, Sponsorship, Postgraduate, 51-100, Collaboration, Extra-curricular, Students with tutor, Students with researcher, Cairo, Stuttgart Univ.